The Ten Reasons to Buy a Mercedes-Benz are surmised in the statement: “The Best or Nothing.” Mercedes-Benz continues on its long history of bringing new technology innovations to market. Based on this tradition, customers of Mercedes-Benz have come to expect nothing less than technological leadership. That means Mercedes-Benz must deliver the very best in all areas: research and development, production, sales, service, purchasing and aftermarket business. “Nothing but the best” is reflected in the company’s core values of perfection, fascination and responsibility and is ingrained in our corporate culture. 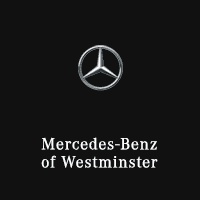 You’ll find that our entire family here at Mercedes-Benz of Westminster understands the privilege to offer such a fine vehicle to you. We invite you to visit us at our Mercedes-Benz dealership near Denver CO to discover or re-discover Mercedes-Benz and get the best for yourself. Mercedes-Benz USA is a nationwide organization, now employing over 1500 people. The company also has 356 associated dealerships that employ 21,500 people themselves. Your satisfaction is our primary concern in both sales and service. What begins as a breakthrough becomes the standard for every car on the road. Enjoyment is paramount along the ever more exciting road map to the future and a never-ending roster of new achievements. Since inventing the first car, Mercedes-Benz has set the pace for what all cars might someday become. With an ongoing stream of firsts in safety, performance and driving there’s only one reason the world’s first automaker remains first in innovation. Carl Benz said it best: The love of inventing never dies. And that can’t be measured for Mercedes-Benz isn’t interested in building cars that are merely powerful or fast. Instead, they engineer automobiles that combine the many facets of performance to create something extraordinary. From the most affordable C-Class to racy AMG® models, a new generation of power is sweeping through Mercedes-Benz. Advanced new Direct Injection gasoline engines give stronger performance from less fuel with fewer emissions. From the new ECO Stop/Start function to advanced two-mode hybrid with full electric capability, numerous supplemental innovations further reduce the fuel consumption and emissions of conventional-fuel engines. Mercedes-Benz knows fulfilling that destiny will take more than just plug-in hybrids and battery electric vehicles. That’s why they’ve driven innovation of renewable, zero-emission hydrogen fuel cell power. You can own the future, today with the B-Class F-CELL. The Mercedes-Benz family is devoted to the craft of automobile making. A Mercedes-Benz should always look like a Mercedes-Benz, and what we produce are vehicles that not only look, but feel and sound like nothing else on the road. For well over half a century, Mercedes-Benz engineers have been devoted to preparing for a moment they hope never occurs. Mercedes-Benz offers exclusive new breakthroughs to help make an accident less severe, less damaging, and even less likely.